Imagine a race whom have mastered the knowledge of black holes, at least a bit. Is there a way for the enemy to destroy the planets inside the black hole? I ask because all missiles or some cannon like the death star would be destroyed by the black hole and would the black hole also grow? 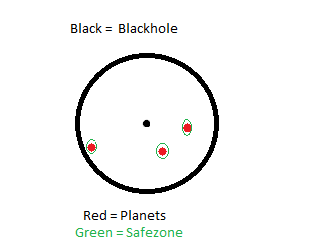 Let me explain the following picture: 3 planets are in the gravity pull of the black-hole but around each planet there is a safe-zone created by a much more advanced race, they even have something like wormholes in the safe-zone so they can leave the black-hole's pull. There is no way to enter the wormhole for other species. If a planet gets sucked in by the black-hole, would the dismembered planet collide with the planets? I imagine the parts of the dismembered planet would rotate in a way people do in a funnel slide. I hope you grasp what I am trying to say. Edit: JDługosz helped me understanding the horizon, please read his answer and make new suggestions. How can they find the localization of these planets? Which weapon would be enough to destroy them and what is the best way to destroy all three planets at once (So they can't prepare a defence)? You need to understand better how the event horizon works. It is a point of no return. Your implicit idea of it being a shell that destroys anything that passes is simply wrong. A missile can enter the event horizon from the outside and hit the planet inside. They just need some way to aim when they can’t see in. You can find examples of general relativity scenarios along the line of Alice falls into a black hole, and some time later Bob jumps in after her and can still rendezvous. Similarly, missiles entering the black hole can target the planets inside. You should watch this video about black holes. Your premise is so nonsensical for General Relativity that you might as well be asking "why is the moon made of cheese?" Um... its not. Planets cannot orbit inside the event horizon, the only direction inside the EH is towards the singularity at the center. Everything inside will not retain a form recognizable to us. As @AnoE pointed out below, this applies after you are close enough to the singularity for tidal forces to tear you into a thin stream of particles, known as spagetiffication. However, just because an object can enter an event horizon and not be shredded immediately doesn't mean stable orbits are remotely possible. How to find the localization of these planets. The mass of these planets, along with all the rest of the mass of the black hole, is located at the infinitely small singularity at the center. Nothing needs to be done, they are already destroyed. You can't make this science-based, as your tag wants**. The only way to make your premise make sense is to move to an entirely different universe with different laws of physics, because Einstein, Hawking, and others have proven this impossible. **Note: the question was tagged as science-based when I first answered this. That has since been removed. I'm not updating my answer since people seem to find it helpful, however the changed context makes it less relevant to the question. The simplest method would be a sabot attack. If you hi-jack one of the enemies ships and know how it gets back to the home planet, it should be possible to plant a bomb/virus on there that knocks out the safe zone generators. Once that's gone, the planet gets sucked into the black hole. Destroy one planet and you could well have a political/emotional victory. Faced with a third of their population (or the loss of their primary planet), they will need to negotiate an outcome. Losing a third of your resources (or centre of government) is pretty severe. If they don't face up to defeat, the same thing might happen, or all outgoing ships might well get destroyed. Science has no answers for you. We have no empirical way to test hypotheses about what happens inside an event horizon, so the best we can do is literally an educated guess. Steven Hawking recently made one of those guesses about what happens inside the first few nanometers, after years of work, and the scientific community is still debating the validity of his claims. Spin the planet - A spinning black hole eventually loses energy to Hawking Radiation and gets smaller. Eventually such a black hole can dissipate. So, if you're patient enough to wait the quadrillions of years for it to dissipate, you can do something to the planets... if they're still there. Subterfuge - Convince one of the members of that species to enter the wormholes and break down whatever magic is making this whole thing work. Magic - This is one of those infamous "I invented a rock so heavy even God cannot lift it, now help me move it" sort of problems. You invented a technology which is so advanced that it literally operates beyond the known laws of physics. Use that same technology to attack the planets. When you invent rocks so heavy that even God cannot lift them, it is entirely plausible that said rock also cannot be lifted by science either. That's an inherent risk in such handwaving. Sanderson's law doesn't limit the options you have for solving this issue, but it does point out that you're going to have to make sure the reader is very comfortable with it before resolving major plot points using it. Your best bet is to learn how they maintain a planet inside a blackhole. Assuming equal technology/science level, your scientists and engineers most likely could reverse the method. If your race is far inferior in technology and you can't reverse engineer the method, then you try to capture a ship, plant some kind of a GPS/analytic device and send it back to analyze the road. In theory antimatter doesn't destroy a blackhole completely but as far as we assume, big powerful antimatter missiles will create huge explosions inside the blackhole but even then the energy won't escape and the blackhole will grow larger. Cover the surrounding of the black hole with antimatter dust. The dust particles will fall into the black hole, and since they are everywhere, statistically some of them will hit the planets, and a matter-antimatter explosion even of a few grams of antimatter will release as much energy as an atomic bomb. You are facing the problem that the tidal forces of the black hole will destroy any missile you can throw at them. Thus the only solution I see is to throw a missile that is immune to tides--another black hole. You still have the basically-impossible targeting problem of knowing where the enemy planets are hiding. However, you don't need a direct hit--all you need to do is overload the gravity generators that are protecting the enemy planets and their own black hole will finish the job. Find a way to divert a neutron star into the black hole. They are super dense already, and would add dramatically to the mass of the black hole, and would change the size of the black hole and the radius of the event horizon. Then the aliens planet would be actually inside, or further inside, and perhaps their technology might not be able to adapt to or overcome that difference. What you could use is the classical traitor scenario. If your alien race is so advanced, i higlhy doubt there is any way for an inferior race to take them in a frontal way. So what humanity (or whatever inferior specie) need to destroy their planets is an inside man. Some kind of pariah from this advanced race who just happens to hate that much is own kind that he will help you gladly to wipe them out (did anybody said Avatar ?). No one knows what exactly happens after you pass event horizon (which is just outside the black hole, which is point of no return. Since it's point of no return we don't know happens inside). Most likely enemy missiles will transform into information or some kind of dense mass(energy) before hit your planet which is inside event horizon. So enemy can't aim or destroy your planet. Not only that they'll never know if they hit the target or not after random attack. Of course in case enemy master same technology as yours then can send probes into inside event horizon then they can aim and send missile that withstand even horizon. If you want to mix magic and popular physics, introduce the idea of gravitational wave 'earthquakes'. The people on those planets may be magically protected from a constant gravitational field, but a gravitational wave disturbs that constant field and squashes the planets into egg shapes, causing earthquakes, eruptions, etc. Chuck another Black Hole at it. First of all, technology that can protect an entire planet from the harsh environment of a black hole (not to mention the extreme gravity!) must be pretty sweet. All infalling matter would have already been accelerated to relativistic speeds by the time it got to the planet. Basically, a missile (even an antimatter one) would be nothing compared to what the planets already encounter every day from just in-falling dust and extreme blue-shifted radiation. Now, if its possible at all to destroy these planets, colliding the blackhole with another blackhole just might be able to crush these planets. If we assume that the black hole in your diagram can fit 10 earths side by side inside it, and we use a formula from Wikipedia, we can compute that your black hole has a mass approximately equal to 27,000 solar masses. This is about 1/4 the size of the smallest super-massive blackholes. In the black hole collision detected last year, about 4.6% of the mass of the two black holes colliding was released. If we chuck another black hole similar to the size of the black hole in your diagram at it, and we assume a mass loss of 1%, 540 solar masses of gravitational energy will be released in the collision. For the sake of your aliens, I hope that their gravity shields can protect them from that much energy. My answer is specifically based on Destroying the planet thus in any manner we will not be able to visit or colonize the planet afterwards. If we can somehow simulate an experiment which increases the hawking radiation on event horizon the black hole will eventually lose mass and destruct. Exponential growth of particle and antiparticle pair creation will speed up the process. Not the answer you're looking for? 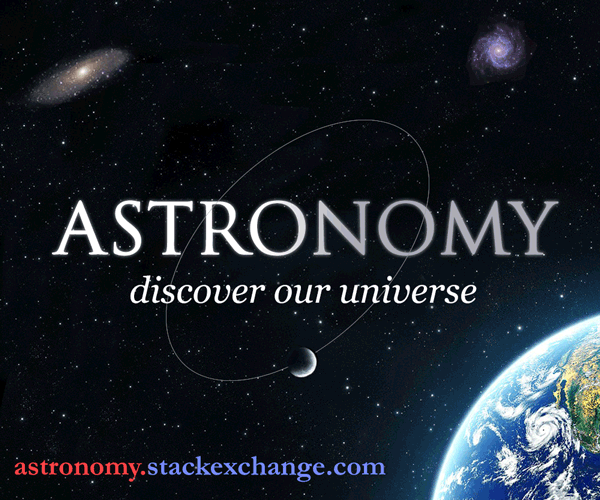 Browse other questions tagged planets weapons science-fiction black-holes or ask your own question. What would happen to a planet 10x the size of Jupiter, if there was a golf ball sized black hole in its core? How would something faster than light be affected by a black hole? Could black hole civilizations even exist?